MISSION: To restore health, rebuild life, and revitalize hope for persons with a life-changing illness, injury, or disability. Mission of the Foundation to help pediatric and adult patients, whose lives have been forever changed through disabling injuries or illnesses, experience the Restoration of Health, the Rebuilding of Lives, and the Revitalization of Hope. Abilities Expo is about bringing necessary products and services together under one roof for the community of people with disabilities, their families, caregivers, seniors, and healthcare professionals. It's about introducing opportunities that can enrich your life ...especially ones that you never knew were out there. 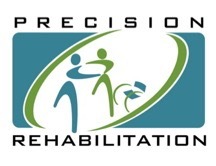 Our mission is to optimize our clients' physical performance, by providing an evidence-based comprehensive state-of-the-art program that maximizes mobility, balance, and gait. We provide active-lifestyle information, peer support and advocacy that empower individuals to achieve their highest potential in all facets of life. Triumph Foundation’s mission is to help children, adults, and Veterans with spinal cord injury/disorder to triumph over their disability and to inspire them to keep moving forward with their lives by pushing themselves to get better every day. Thank you! We will try our best to respond in the next 24hrs.